With the experience engineers we are manufacturing a high quality of Hastelloy C22 Fasteners. These fasteners are manufactured by standard quality of raw material. We supply these products all over the country. While manufacturing process is going on we investigate the quality of our product in different parameters. 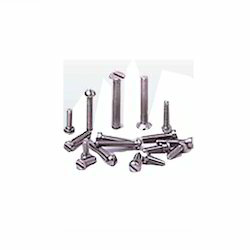 We are the leading manufacturer of Hastelloy C22 Fasteners which are manufactured by high quality of steel. Our company supply different types of fasteners and they includes hastelloy nuts, hastelloy bolts, hastelloy screw and hastelloy washers. These products are available in different shapes and size as per the need of our clients. Looking for Hastelloy C22 Fasteners ?